Why is it that JW uses masonic terms as Brother, Hall, Congregation etc. And most of all, they are in support of masonic doctrine of embracing death as a welcoming effect that puts one into no regret of past deeds as no judgement awaits you, but just oblivon. I’ve read so much stuff online that Bro. Russell was a Mason and other things to say he wasn’t. So I contacted an old mate of mine who is a Freemason and asked him to look it up. He came back 3 days later and said “He was not a Mason, but his father and father-in-law were. Yes he had friends that also were but Russell never was. Yes he was buried near a Lodge but that built after his death apparently. I don’t know exactly where my friend got his info but he I’m happy to accept what he said. What you wrote above is in complete agreement with my own research. And in these days of the internet, where information is freely abundant, anyone that is seriously interested in truth can verify the truthfulness of your expression for themselves. Thanks for the info on the book. Take care, my friend. Russell himself addressed this in the 1913 convention sermons report. “I am very glad to have this particular opportunity of saying a word about some of the things in which we agree with our Masonic friends, because we are speaking in a building dedicated to Masonry, and we also are Masons. I am a Free Mason. I am a free and accepted Mason, if I may carry the matter to its full length, because that is what our Masonic brethren like to tell us, that they are free and accepted Masons. That is their style of putting it. Now I am a free and accepted Mason. I trust we all are. But not just after the style of our Masonic brethren. We have no quarrel with them. I am not going to say a word against Free Masons. In fact, some of my very dear friends are Masons, and I can appreciate that there are certain very precious truths that are held in part by our Masonic friends. Whoever wrote this , is this a joke? You make the sole claim that CR wasn’t a freemason because he told his audience that? how gullible are you? or is this paid programming to deceive? anyone with half a soul can see the masonic imagery. FREEMASON has a very real CRIMINAL ELEMENT . You obviously didn’t even read the post above. Brother Russell was never a Jehovah,s Witness. They were founded by Rutherford. It was Rutherford who built the pyramid monument near the grave of Pastor Russell. If you are going to criticize, know the true facts and stop distributing half truths and lies. 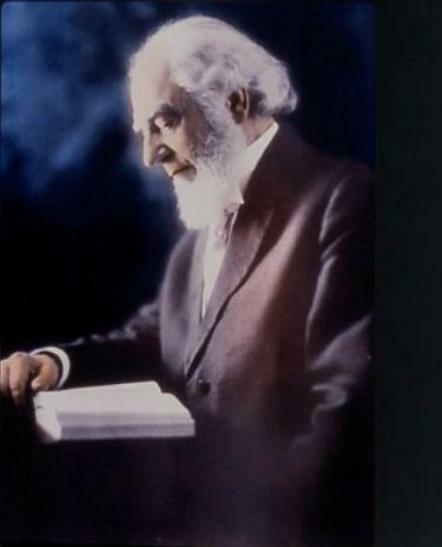 Russell condemned the practice of the occult.. Jehovah’s Witness beliefs have greatly deviated from Russell’s teaching. It’s one thing to express disagreement with doctrine but please refrain from condemning peaceful loving people who have nothing to do with the atrocities of the JW leadership. 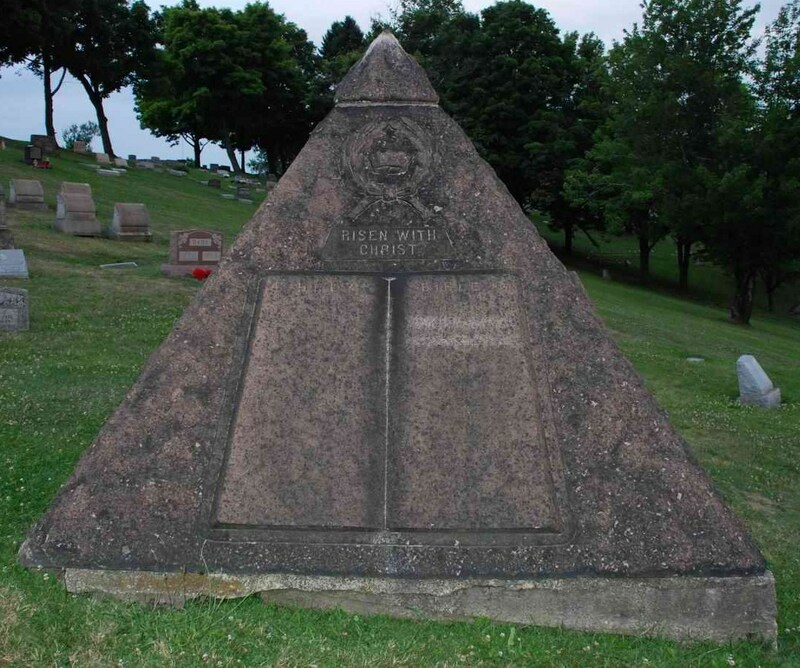 http://4.bp.blogspot.com/-caFAuCvSV5A/URZjP1Q0yhI/AAAAAAAABv0/gSWv9s0pUk0/s1600/Pyramid_Russel_Gravesite.jpg Part of his gravesite. Alistair Crowley was another occult guy that made that symbol popular. Another interesting weird thing. Charles Russell and Joseph Smith are from around the same area. And I know you all agree the Mormons are wrong.. same with y’all. No debate, you’re defending deceit, and some that has done some serious omitting of the scriptures. Revelations 22:17-21; so reading that, right or wrong he added to scriptures( in more way than one. ), and took away just as much(JW bible translations). Mormons, Scientology, 7th day, Jehovah’s Witnesses; are occultic. A long with many more religions, these are just a few that try you use Christian doctrine(not Scientology). P.s there were three dates that were falsely prophesied. I’m not arguing/ debating. Go look for yourself, and not on your Hall’s(hmm that’s interesting??) website. Independent research is always a more direct path to the truth. Hi Emanuel, thank you for commenting. We are not Jehovah witnesses and don’t have a hall website. I think you mean jworg. That is not our website. There are independent websites for different classes of Bible students but we don’t own buildings but meet in small groups basically in homes. It’s refreshing that you are doing research. Let’s see if we can discuss a familiar subject, okay? Look at the different articles and maybe ask a question on the scriptural support and maybe we can go from there. For instance what do you think about this subject? PS: I visited the gravesite in 2012 I think. Finally I was able to see what Bethel witnesses call the launching pad. Time marches on and the monuments made to the dead tells us what people have to say of their legacy. Mrs. Russell dedicated this to her husband and some Bible student brothers have done repairs over the years. Yes you are arguing. You’re whole intent was to come on ever because you had nothing to do and to trash others beliefs. So because two different people use the same symbol it means they are connected? That’s false reasoning. The Swatstika for example was a symbol of the Hindu religion. The Nazi party uses it and it is no way connected to that religion. So your analysis is and is a false equivalent one. Just because Joseph Smith and Russell were from the same area (different times) you can see that their beliefs are completely different. Joseph smith believed that the Native americans were descendants of the Hebrews before the destruction of Jerusalem in 587. They also believe that the “immortal soul” preexisted in heaven and comes to earth to be tested and will end up in three levels of heaven or outer darkness. This is a completely different religion than what Bible students hold to. You said that there were theee dates falsely prophesied. Show me one prophesy Russell made. Because chronology and the 7-day millennium theory are not prophesies.